One of the most legendary battles in the history of gaming is being turned into a TV series. It's been announced that Legendary is adapting the novel Console Wars: Sega, Nintendo and the Battle that Defined a Generation into a limited series with Kong: Skull Island director Jordan Vogt-Roberts attached to direct every episode. Seth Rogen and Evan Goldberg, who were originally trying to turn the book into a movie starting in 2014, are set to produce. According to a new report, Jordan Vogt-Roberts will direct working from a pilot script by Mike Rosolio (American Vandal). 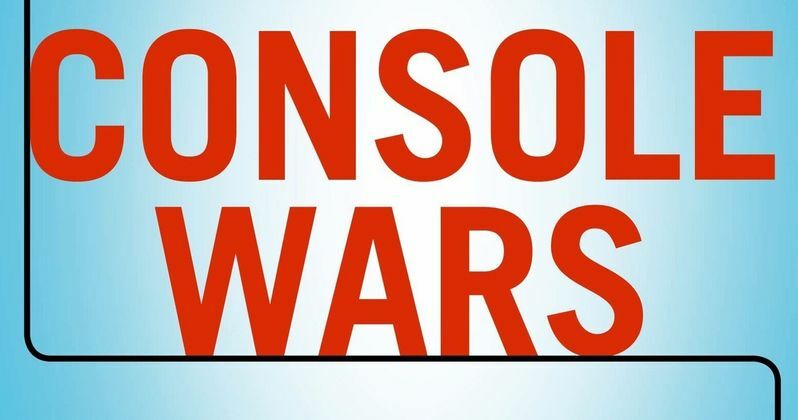 At the present time, there's no word on what network or platform the Console Wars series is going to be produced for. But there is a very compelling and expansive story to be told, based on what was brought to light in Blake J. Harris' 2015 novel, which was authored by conducting hundreds of interviews with people who worked for both Nintendo and Sega during the 90s when the first great video game console war, and the most important, was underway. Vogt-Roberts responded to the news on Twitter, sharing his excitement for the project. "Boom! So excited to take on this story that means so much to me. 16-bit tears are running down my face... So thankful to be working with all these incredible people! Let's gooooooo!" Aside from his work on the blockbuster Kong: Skull Island and his acclaimed indie Kings of Summer, Jordan Vogt-Roberts has worked in TV previously. He directed the pilot for FX's You're The Worst and has helmed several episodes since. Also, and most importantly as it relates to Console Wars, he is an unabashed lover of video games. Not only is Vogt-Roberts feverishly trying to get an ambitious Metal Gear Solid movie made, but he regularly shares his love and adoration for various games on social media and anyone who has listened to him speak at length in various interviews on the topic knows his passion is genuine. Seth Rogen and Evan Goldberg have been working a lot in TV lately, with their small screen projects including AMC's Preacher and Hulu's Future Man. Having them on board as producers will likely make this a high-demand series for any potential network partners, be it a premium cable channel or streaming service such as Netflix. Ultimately, given how much story there is to dive into with the rise and fall of Sega, starting with the landmark release of the Sega Genesis, a series may make way more sense than a movie. The story will largely focus on Tom Kalinske, who took over as Sega's CEO in America in the 90s and helped save the company by releasing the Sega Genesis, creating a rivalry that lasted between them and Nintendo and the Sega Dreamcast failed and took the company out of the console market. James Weaver, Scott Rudin, Eli Bush, and Julius Rosenberg are on board to produce the series, alongside Rogen, Goldberg, Vogt-Roberts and Rosolio. This news was first reported by Nerdist.